Mason jars are a great way to make sure your meals are perfectly portioned. 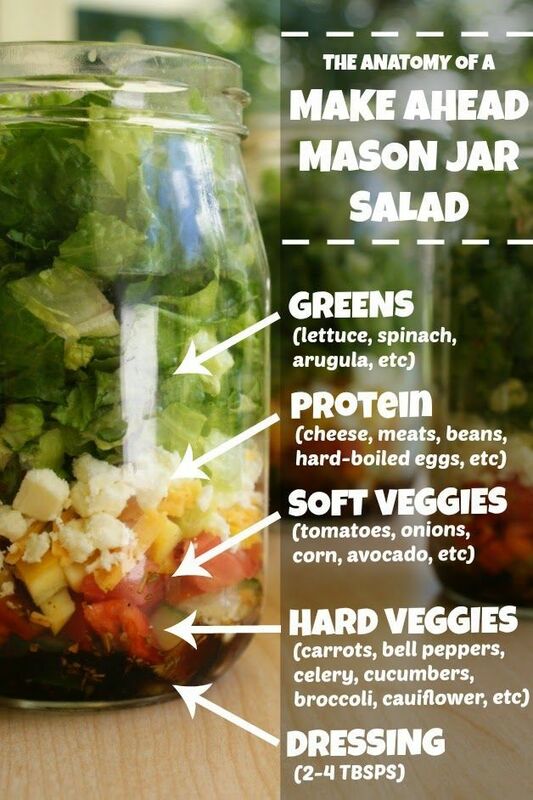 Today I wanted to share a formula for a mason jar salad that layers everything you need to combine protein, fiber, and nutrients into your lunch. Simply follow these steps, and you’ve got yourself a portioned out lunch that is perfect to take on the go!